Uber has become a popular way to get around Oakland and the Bay area. It has the advantage of being cheaper than a regular cab and faster than public transport. So, what’s the likelihood that you will have to deal with an Oakland Uber accident case? Pretty high! Uber drivers are not taxi drivers. They are not employees of Uber and are not formally trained to carry and drive around passengers. They may take more chances than a trained cab driver and make more mistakes. The faster they get you to where you want to go and pick up another ride, the more money they make. There are also incentives Uber comes up with to get the drivers the increase the number of trips they make in a short period of time. That means that Uber drivers are more likely to crash than a regular taxi. You could be a passenger in an Uber car when the driver makes a mistake and crashes. You might be a passenger in an Uber car when the car is hit by another car. You could be hit by an Uber​​​​ driver when in your own vehicle, cycling or walking. Whatever the scenario, you will be soon wondering who is going to pay for any injuries you have had as a result of the crash. That’s when things get complicated. As Uber is a rideshare scheme, making an accident claim against the driver or Uber doesn’t work the same way as if you were in a regular cab, a bus or other form of public transport. That doesn’t mean you will be out of pocket when the bills start piling up. You can win an Uber accident case, but you need to know how. That’s why we’ve described below 5 ways to help you win your Oakland Uber accident case. You need to obtain sufficient compensation to help you pay any medical expenses and get your life back together. Winning a successful accident claim depends on proving that someone else was at fault. If you are involved in an Oakland Uber accident, you must be sure who was to blame. It is this person or persons who you will be suing. If you were an Uber passenger and your driver crashed the car, what did he or she do wrong? It wasn’t your fault, so whose was it? If you are able to do so, make a note about what went on immediately before and during the accident. If you have a cell phone, it should have a voice record option. Record your observations. Was there another vehicle involved? Do you think the other driver was at fault? Were both the Uber driver and the other driver both to blame? If you cannot decide at the time of the accident, it will make it more difficult to make your case against Uber later on. The other scenario is that you were injured while in another car altogether. The Uber driver and your car were involved in a crash and you were injured as a result. Again, it is helpful if you can decide straight away who was at fault. Things can get complicated when you were partly to blame for an auto accident, but it doesn’t mean that you can’t still get compensation. Take photos of the crash scene after the accident. Use your cell phone or tablet if you have one. Get witnesses’ contact details. If they are prepared to make a statement at the time, even better. Record it using your phone and then get their contact details, too. When the police arrive, make sure you find out which police station they are from so you can get a copy of the police report. Get medical treatment, especially if you have serious injuries. Make sure you obtain any medical reports, doctor’s observations and all bills relating to treatment. Get a mechanic’s report of any damage to your own vehicle if that was what you were in at the time of the accident. Your Uber accident attorney may be able to order an inspection of the Uber vehicle or ask experts to investigate any aspect of your accident. Their reports could prove invaluable. 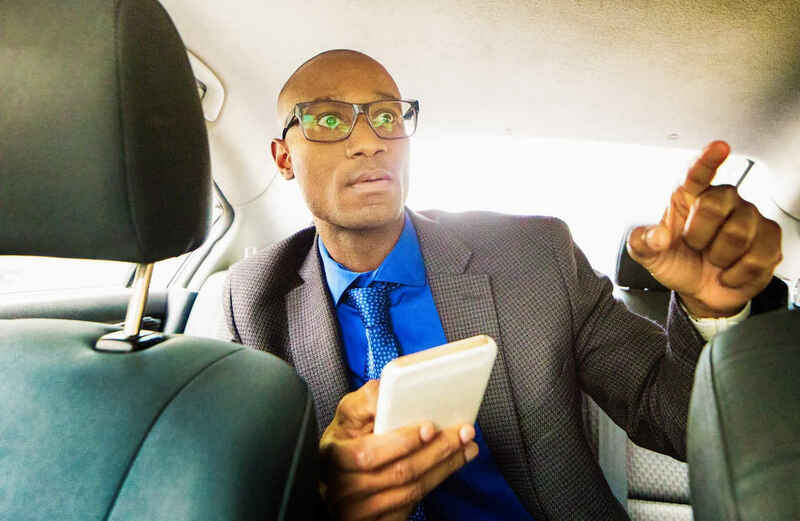 Winning an Oakland Uber accident case depends on understanding the law as it applies to Uber accidents and particularly how you are covered or not covered by insurance. Even if you have a good attorney to represent you, it helps for you to understand your own situation so you can work together with your attorney. The main thing to bear in mind is that every Uber driver is required to carry sufficient insurance in case you are injured, either as a passenger, or if you were the driver or a passenger in another vehicle. It might be difficult proving that the Uber drive was to blame and difficult to get the insurer to make a satisfactory payment, but the insurance will be there. The main complication will be if the Uber driver’s car was hit by another vehicle and both the Uber driver and the other driver, or just the other driver was to blame. It may be necessary to make separate claims against each driver. In the case that the other driver is uninsured or underinsured, the Uber driver should have Uninsured or UM insurance which should cover you. Time is of the essence in any personal injury claim. Even if the statute of limitations in California allows two years from the time of the injury, the reality is that the sooner you initiate legal action, the better. Uber accidents are rarely as straightforward as a taxi accident or an accident on a bus. The situation has got better because of pressure on Uber to improve their insurance provisions. Don’t expect to have an easy time if you try and deal with an Uber driver or Uber as a company by yourself. You will need the legal expertise of an experienced personal injury attorney. Find out who has had successful wins against Uber before. That’s who you want to represent you. The sooner you have a good attorney working on your case, the better. Uber is out to make money and so is its insurer. They will try and resist paying out compensation if you make a claim. If they know that you do not have an attorney representing you, or are able to talk to you directly, they will probably try and trick you into saying something that you might regret later on. Anything you say that appears to lessen the liability of their clients will result in either a lower overall payment or no payment at all. Let your attorney deal with Uber’s insurer. They will have dealt with them many times before if they have successfully won Uber accident cases and will know exactly how to negotiate with them on your behalf. Do yourself a favor and get a FREE online Uber accident case evaluation from our very experienced Uber accident legal team now.